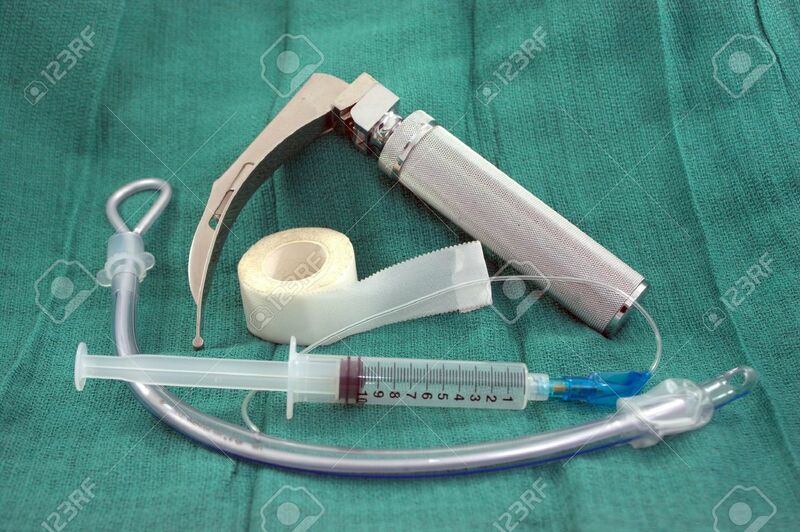 Intubation is an important intervention in the ED. We see a critical or impending airway problem and we secure the airway with intubation–very satisfying! Yet our job does not stop there. In addition to maintaining an appropriate ventilation strategy after intubation, it is crucial that we use appropriate post-intubation sedation and analgesia regimens for the continued care of these critical patients. This post will review sedation and analgesia regimens for different clinical scenarios after intubation, as well as some common pitfalls that we must be diligent to avoid. It’s a busy weekday shift with many critical patients under your care. You’ve just intubated a 63 year-old man who presented with severe pneumonia causing hypoxia and altered mental status. His vital signs seem to be improving after intubation when another critical patient comes in. You leave this newly intubated patient to examine the new patient, only to be called back to the bedside by nursing 15 minutes later. He has become agitated, bucked the ventilator and self-extubated! You realize then that you forgot to give post-intubation analgesia and sedation. Mechanical ventilation is painful and stressful, as are the multiple other invasive procedures we tend to do on intubated patients (Foley catheters, blood draws, CVC insertions, arterial lines, etc.). The psychological stress of these interventions causes anxiety and can lead to PTSD and delirium. Importantly, psychological stress and pain also have adverse physiologic consequences. Pain and stress increase sympathetic tone, causing a rise in heart rate, blood pressure, intracranial pressure, and oxygen demands [1,2]. While we may understand why it is important to properly sedate and address pain in ventilated patients, in practice we as EM physicians too often neglect post-intubation analgesia and sedation. One retrospective study of intubated patients in the ED found that 33% had no anxiolytic, 53% had no analgesic, and 20% had neither anxiolytic nor analgesic in the peri-intubation period . Another study found that 18% of patients who had received long-acting neuromuscular blockade in the ED had no concurrent sedation . Providers should be especially diligent in patients receiving a long-acting paralytic as they are unable to communicate any sort of discomfort. One tip in avoiding these errors is to order the post-intubation medications while ordering RSI medications. Think about RSI and post-intubation as one event to have everything ordered together, and communicate this to your nurses. Adequate analgesia alone may be sufficient in certain intubated patients and associated with better outcomes. Research conducted in ICUs supports the practice of little to no sedation in ventilated patients. Sedation has been associated with increased ICU stays and increased time on mechanical ventilation . Indeed, while we may not think our sedation choices in the ED will have a prolonged effect, one prospective study has shown a correlation between the depth of sedation achieved in the ED with prolonged time to extubation and increased mortality . However, little or no sedation is not possible for all patients and may be especially difficult to avoid within the acute presentation and resuscitation of these critical patients. ED patients are often undifferentiated and heavier sedation may be necessary while in the ED where diagnostic imaging and procedures must be performed urgently. So how can we tell who is comfortable and who needs analgesic adjustment or additional sedation? Use an objective scale, such as the Richmond Agitation Sedation Scale (RASS). Our general goal (depending on clinical situation) is a patient sleeping comfortably but arousable and opening eyes to verbal command; this correlates to a RASS of -1 to -3 [8, 9]. In patients with adequate pain control who still seem agitated, anxious, or fighting the ventilator, add a sedative/anxiolytic. The choice will vary based on the clinical scenario. Guidelines support non-benzodiazepines as the first choice for sedation . A meta-analysis of randomized control trials comparing benzodiazepine vs nonbenzodiazepine (propofol and dexmedetomidine) sedation in intubated ICU patients found the latter associated with reduced ICU length of stay and duration on mechanical ventilation . Benzodiazepines are associated with a higher rate of delirium and worse outcomes . 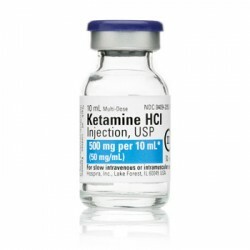 While propofol and dexmedetomidine have the most research to support this use, ketamine has also shown to be a good non-benzodiazepine option in appropriate patients . Another pitfall we encounter is polypharmacy—too many drips and medications ordered without enough venous access or nursing support, and increasing adverse effects with multiple medications. Even in a patient with decent access the multiple infusions and medications ordered may not be feasible to receive concurrently. Ketamine and dexmedetomidine both have analgesic properties in addition to their sedative properties, making them an especially good choice for patients who need extra pain control or have limited access. + analgesia. Increased interaction, easier to wake Usually stable; hypotension and bradycardia; less often hypertension and tachycardia. Most patients with normal liver function. (0.1-0.5 mg/kg) NMDA receptor antagonist Liver metabolism. 77 year-old woman brought in by EMS from a nursing home for lethargy and fever, in severe urosepsis with blood pressure of 78/44, heart rate of 110, agonal breathing and labs with acute kidney injury. She is intubated in the ED and given aggressive fluid resuscitation with minimal improvement in vital signs, so you prepare for a central line to give her vasopressors. You think that while intubation and CVC insertion may be painful, she can’t afford to have her pressure drop any more. What are your options for pain control and sedation? Hypotension shouldn’t prevent you from providing adequate pain control and analgesia. Look for medications with fewer hemodynamic side effects, but realize you can also start vasopressors. Fentanyl has less hemodynamic instability than other opioids and does not rely on renal clearance, making it a good analgesic for this situation. Ketamine is also an appropriate choice here for its pro-hemodynamic effects which will not worsen the hypotension and can actually increase blood pressure . Ketamine has dissociative and analgesic properties allowing extra pain control, plus amnesia and anxiolysis. Considering how we use it for procedural sedation, this will be a good medication to administer before inserting a central line and may be sufficient alone for both sedation and analgesia. Dexmedetomidine, a central alpha-2 agonist and norepinephrine inhibitor, is another possible choice for this patient as it is often hemodynamically neutral. It can cause hypotension and bradycardia, but these effects are more common when administered as a bolus rather than an infusion . Studies have also shown a biphasic hemodynamic reaction with tachycardia and hypertension observed . The highlight of dexmedetomidine is the ability to achieve adequate sedation and comfort while maintaining easy arousability and interaction. A 21 year-old woman is brought by EMS with a severe asthma attack. She is tachypneic, hypoxic to 85%, speaking in one word sentences, and in obvious distress. She gets epinephrine, magnesium, steroids, and NIPPV with multiple nebulizer treatments with minimal improvement. You’ve tried NIPPV but she is not tolerating it. She is tiring out and her oxygen saturation is dropping. You intubate her. What post-intubation meds do you grab first? This is a good scenario to reach for ketamine. Ketamine is associated with bronchodilation which will help open reactive airways while providing sedation and analgesia. It preserves airway reflexes which is helpful if you want to try to avoid intubation in the first place. With intubation however, higher doses or additional medication is usually needed to allow complete relaxation for ideal ventilator synchrony and for the lower respiratory rate needed in intubated asthma patients. A 42 year-old man with a history of epilepsy brought in by EMS for generalized tonic clonic seizures. He received midazolam 10mg IM in the field but continues seizing now in the ED with EMS stating it has been more than 30 minutes without return to baseline. He does not respond to 2 doses of lorazepam in the ED. You decide to intubate the patient for refractory status epilepticus. What choices do you have for post-intubation? Note that we can think of patients with severe alcohol withdrawal and delirium tremens (DTs) in a similar way. For sedation after seizure intubation there are two good choices: benzodiazepines and propofol. Both medications target excitatory neurons with GABA-agonist properties, crucial for seizure treatment. Traditionally we reach for benzodiazepines; these are first line medications to treat both seizures and DT in addition to being a sedative for the mechanically ventilated patient. Consider starting the patient on a midazolam drip. However, a patient in refractory status epilepticus or DT that requires intubation will have received very high doses of benzodiazepines so far and receptors may be saturated without optimal effect. This is especially true for severe DT . An alternative tool is propofol for additional seizure control/continued sedation in refractory status or unstable alcohol withdrawal. Propofol is a GABA agonist that is lipophilic and quickly crosses the blood-brain barrier, acting within seconds to minutes . It has neuroprotective and anti-epileptic properties [9,10]. Another benefit is that as quickly as propofol works, it is also rapidly cleared. This makes propofol an excellent sedative choice in patients that will need neurologic reassessment. Benzodiazepines, on the other hand, accumulate and become long-acting (even “short-acting” midazolam is only short-acting when given as one bolus—these pharmacokinetics do not hold true for continuous infusions). Mattiello JA1, Munz M. Images in clinical medicine. Four types of acute post-traumatic intracranial hemorrhage. N Engl J Med. 2001 Feb 22;344(8):580. You’ve just intubated a middle aged man with a GCS of 8 found to have a spontaneous intracerebral hemorrhage (ICH) and severe hypertension. You are arranging transportation to another hospital for definitive neurosurgical management. What is the best choice of sedative in this case? Don’t forget about post-intubation sedation/analgesia. Order these medications with your RSI meds and communicate with your nurses. Mechanical ventilation hurts and pain control is always primary. Every intubated patient should have adequate analgesia. An objective scale like RASS should be used to assess additional sedation needs after primary analgesia is started. Nonbenzodiazepines like ketamine, propofol, and dexmedetomidine are first-line recommendations for sedation over benzodiazepines and are associated with better outcomes. Consider the hemodynamic profile when choosing medications and don’t neglect analgesia/sedation out of fear for hypotension. Use ketamine for sedation and analgesia in patients with persistent hypotension. Use propofol for hypertensive patients and primary neurological problems (seizures, delirium tremens, hemorrhagic stroke, head trauma). Patel SB, Kress JP. Sedation and analgesia in the mechanically ventilated patient. Am J Respir Crit Care Med. 2012;185(5):486-497. Wood S, Winters ME. Care of the intubated emergency department patient. J Emer Med. 2011; 40(4): 419-427. Bonomo JB, Butler AS, Lindsell CJ, Venkat A. Inadequate provision of postintubation anxiolysis and analgesia in the ED. Am J Emerg Med. 2008;26:469-472. Chong ID, Sandefur BJ, Rimmelin DE, et al. Long-acting neuromuscular paralysis without concurrent sedation in emergency care. Am J Emerg Med. 2014; 32:452-456. Strøm T, Martinussen T, Toft P. A protocol of no sedation for critically ill patients receiving mechanical ventilation: a randomized trial. Lancet 2010; 75(9713):475-480. Shehabi Y, Bellomo R, Reade MC, et al. Early intensive care sedation predicts long-term mortality in ventilated critically ill patients. Am J Respir Crit Care Med 2012; 186(8):724-731. Sessler CN, Gosnell MS, Grap MJ et al. The Richmond agitation-sedation scale: validity and reliability in adult intensive care unit patients. Am J Resp Crit Care Med. 2002; 186:1338-1344. Barr J, Fraser GL, Puntillo K, et al. Clinical practice guidelines for the management of pain, agitation, and delirium in adult patients in the intensive care unit. Crit Care Med. 2013; 41(1):263-306. Fraser GL, Devlin JW, Worby CP, et al. Benzodiazepine versus nonbenzodiazepine-based sedation for mechanically ventilated, critically ill adults: A systematic review and meta-analysis of randomized trials. Crit Care Med. 2013;41(9 Suppl):S30-S38. Asad EP, Martin JR, Erstad BL. Ketamine for analgosedation in the intensive care unit: a systemic review. J Intensive Care Med. December 2015; epub ahead of print. Devlin JW, Mallow-Corbett S, Riker R. Adverse drug events associated with the use of analgesics, sedatives, and antipsychotics in the intensive care unit. Crit Care Med. 2010; 38 (Supplement): S231-S243. Coruh B, Tonelli MR, Park DR. Fentanyl-induced chest wall rigidity. Chest. 2013; 143(4):1145-1146. Kotani Y, Shimazawa M, Yoshimura S, Iwama T, Hara H. The experimental and clinical pharmacology of propofol, an anesthetic agent with neuroprotective properties. CNS Neurosci Ther. 2008; 14(2):95-106.